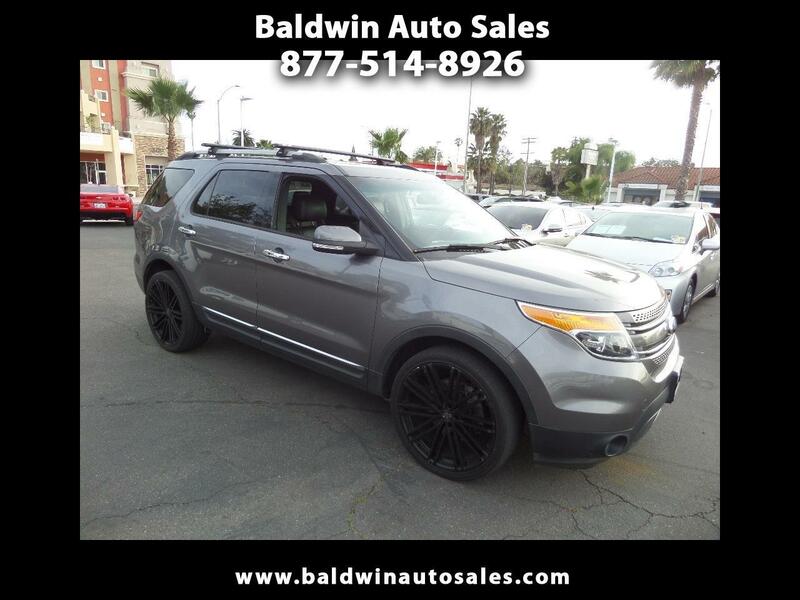 WARRANTY ALL NEW 22" TIRES DUAL MOONROOF LIMITED LEATHER V6 3RD ROW PARK SENSORS TOUCHSCREEN 20" WHEELS SMART KEY ABS KEYLESS START REAR A/C TRIPLE CLIMATE ZONES REAR CAM SYNC SYSTEM HEATED SEATS EXCELLENT CONDITION This one is so luxurious and comfortable. Room for all your stuff and friends with seating for 7! A 5year/100k mile additional service contract is available and can be used at any Ford dealer nationwide. Runs and drives tight. Tinted glass and so many premium options. A total joy and fun to drive. Priced well below KBB and the market. Very tough looking in gunmetal gray silver and black non-smoker leather interior.